For the buy side, multi-asset trading offers the promise of efficiencies, cost savings, and closer alignment with an increasingly interconnected global marketplace. But how far do large investment firms wish to go to amalgamate legacy siloed trading desks? What is the blueprint? And most critically, what are the risks and rewards? Those questions were among topics explored at a September buy-side roundtable in Boston, hosted by TradingScreen. As the buy-side universe is expansive, with an abundance of investment models and strategies, each journey toward multi-asset trading is unique. But there is one common denominator that’s vital in driving the process forward: the underlying technology. 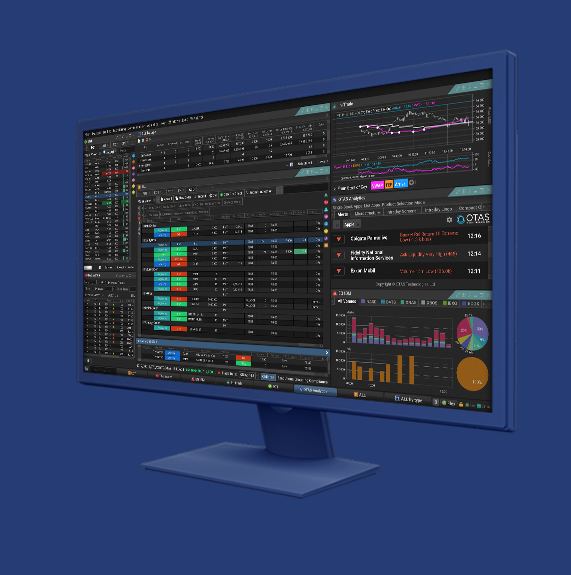 At a TradingScreen-hosted roundtable in New York in June, participants noted that the buy side was shifting to buying technology rather than building technology; interoperability of systems and ‘big data’ management were core challenges; and automation of processes, while a key ingredient in the evolution of a buy-side trading desk, has its limits. The Boston discussion addressed the latter point. Some senior traders and technologists who attended the roundtable event said they were there to gather market intelligence, i.e. assess industry trends and vet what an individual firm is doing versus what the broader marketplace is doing. In multi-asset trading in particular, there is ample opportunity to learn from earlier movers. As drivers of the migration to multi-asset trading, Hegarty cited increasing cost pressures; opportunities for collaboration; the availability and ubiquity of data; the rise of quant resulting in cross-asset strategies; advancements in available technologies such as Execution Management Systems; and new asset classes such as cryptocurrency. One roundtable participant noted that consolidation of trading technology across asset classes is a lengthy process, and there is the question of whether technological products are mature enough to support multiple trading scenarios. This person said one approach to technology is to leverage vendor platforms to handle ‘plain vanilla’ tasks, which frees up traders to concentrate on higher-value, more strategic workflow. One topic of interest was the recent flurry of mergers and acquisitions in the vendor space — State Street acquiring Charles River, SS&C acquiring Eze Software, and Ion acquiring Fidessa. The deals are in line with the overall theme of consolidation and reduction of technology footprint in the front and middle office. “The buy side appears to be strongly in favor of the (M&A) strategy, as it should help them reduce costs,” Hegarty said. Investment managers are closely watching the emergence of cryptocurrencies. Roundtable participants weren’t so much interested in whether the price of bitcoin will rise or fall, but they are very interested in whether crypto has staying power, and if so, how a firm can integrate it into a multi-asset trading framework. 2018 Buy-Side Trading Review – The three "A’s"